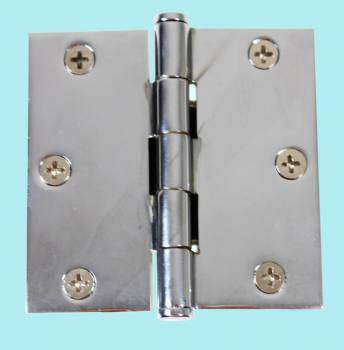 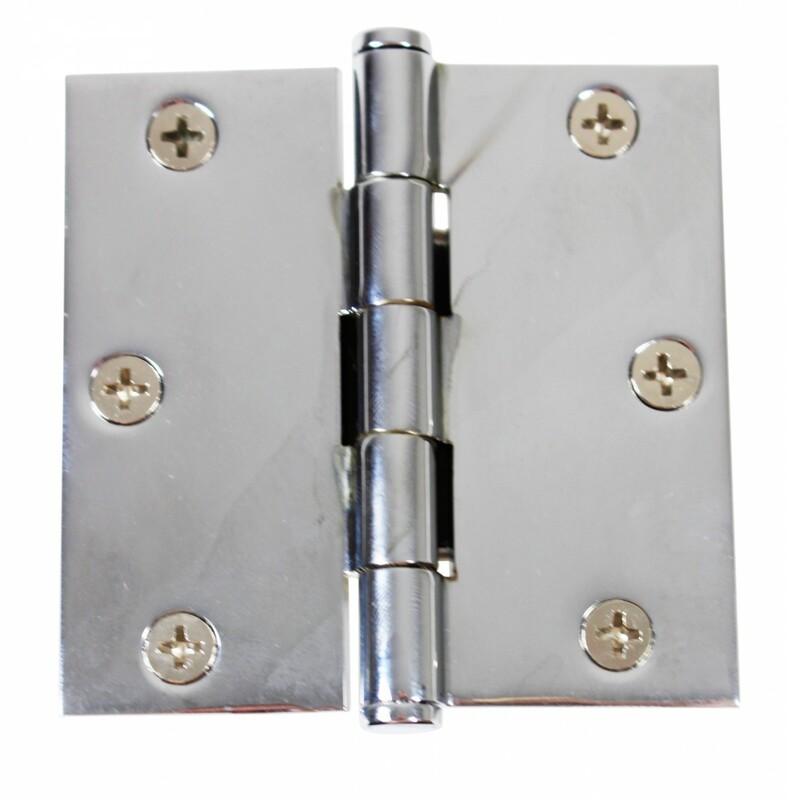 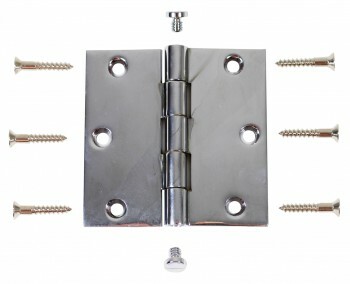 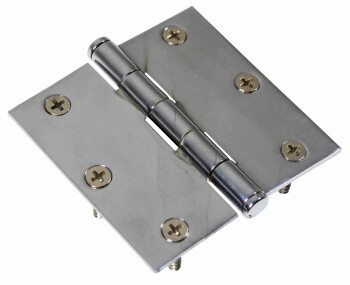 Chrome Solid Brass Cabinet Hinge Coin Tip 3"
Door Hinges: This chrome-plated Solid Brass Door Hinge measures 3 in. x 3 in. 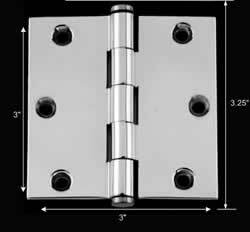 Is solid brass extruded & precision CNC machined. 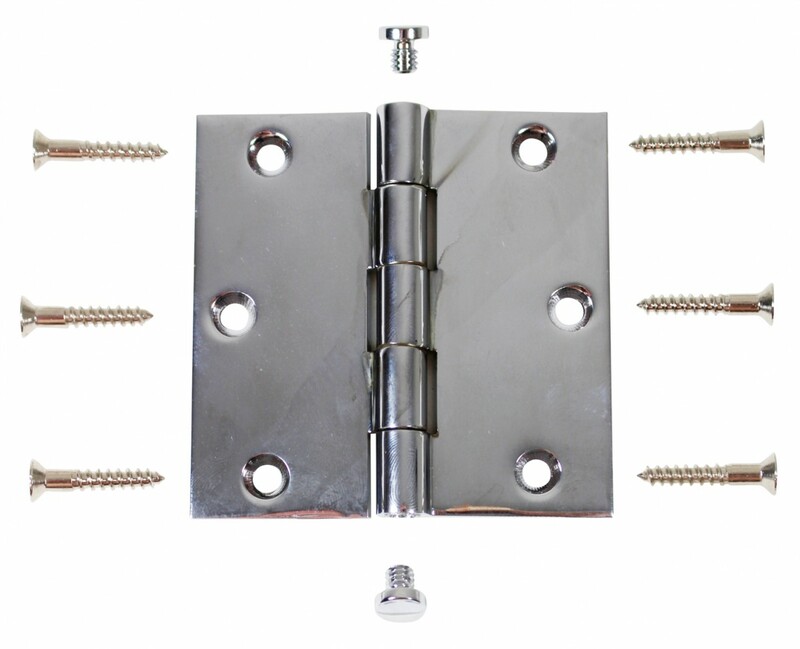 It features 5 barrels, a non-binding stainless steel removable pin & interchangeable finials hinge built to ANSI standards.